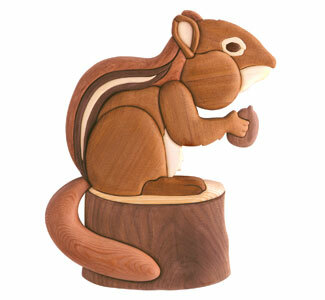 This little guy looks handcarved but is actually made using only a scroll saw or band saw and a sander. Full size pattern includes complete instructions that explain everything you need to know. (approx 6" x 9") Great beginner intarsia project!